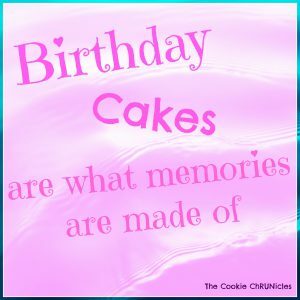 I cannot begin to tell you how much I thoroughly enjoy reading all of your comments on yesterday’s post discussing all things cake. Some people have zero interest in the delicacies that interest others. I am not one of those people. 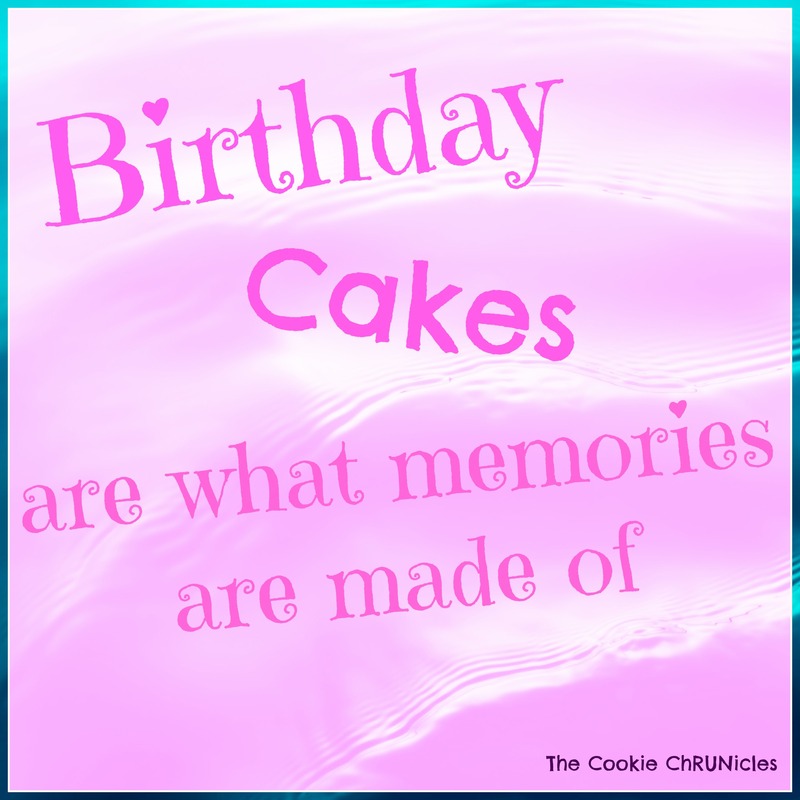 I love reading which cakes, frostings and varieties you prefer and learning more about your favorite birthday memories. I have also come to realize that I haven’t made cupcakes in ice cream cones in way too long and need to add that to my summer bucket list which I never wrote. Moving on from cake for the moment, let’s talk beverages. When I say I never liked soda, I mean, I must have been offered a sip when I was like three years old and decided right then and there I didn’t care for the bubbles (or the fizz as I called it) and never tried it again. I may not have made the best of eating choices when I was younger but aside from my daily Tropicana orange juice, I was all about water. Did you know that the male body is 60% water and the female body is 50% water? And did you know that muscles hold more water than fat cells? I never paid attention to how many glasses of water you were supposed to drink in a day. I didn’t need to since I drank my weight in water anyway but also because I am stubborn and I don’t like being told I have to do something. Isn’t it better to want to do something? I know I have talked about the importance of hydration and will focus more on it again soon rather than bombard you today with all of the facts. All I will say today is how important it is to stay hydrated, especially if you are running or working out in the heat. They say sometimes we confuse hunger with thirst. I always laughed at that but it is so totally true. I have been drinking more water lately in place of cups of coffee and definitely find less of a need for a random snack or even a piece of gum. Being hydrated keeps you all sorts of balanced and happy. And also keeps your lips from getting dry and chapped. Sometimes you don’t even realize how dry you are until you drink more and feel like moisture has been instantly infused into your skin, hair, lips and complexion. Wrinkles on your face that aren’t usually there? Skin is dehydrated. Now, I understand that some people find water bland and boring and unchuggable. If you prefer the taste of juice, sports drinks or somehow soda but know you need more water in your diet, may I suggest my new favorite kitchen item. I love adding lemons and limes to my water and so does my son. He is a kid so of course he loves juice but since he is happy to drink lemon water, I decided it was time to get one of these pitchers to bring some fruity excitement to our cups for the summer beyond the basic squeeze of a lemon. 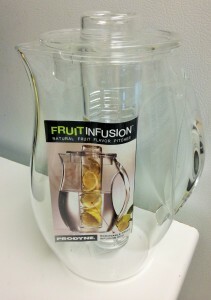 I bought this Fruit Infusion pitcher which I found at Bed Bath And Beyond. All you do is fill up the center tube with fresh fruit, add your water to the pitcher and voila – fruit infused water. The fruit stays in place and keeps from getting soggy. It takes a few hours to experience the full flavor but even right away, it is rather enjoyable. Do you like this week’s birthday party napkins? Is it just me or do pretty napkins instantly put a smile on your face too? My son and I are obsessed with our water. He loves tasting it at different times to see how infused the water has become and enjoys creating different fruit combinations for our next round. I actually can’t get over how flavored the water really is. I read some reviews that claimed it takes on flavor but not to expect much. I totally disagree. And, if my son agrees with me on the taste, you know it has to be good. So here’s the thing – the info that came with the pitcher claims you can keep refilling the Fruit Infusion pitcher with water while using the same fruit for seven to ten days. Our experience has been that after 24 hours, the flavor becomes milder and weaker. Granted, we drink a ton of water in our house so we kept refilling it several times over the course of 24 hours but even so, I think it is best to expect to swap out your fruit after a day and replace it with a new combination. What I can’t get over is how the fruit stays fresh and firm enough to still eat when you are done using it in your pitcher. After 24 hours, I took the berries out of the pitcher and they were still totally delicious with some oatmeal. I waited longer than the 24 hours just to see on a different day what would happen to the strawberries and I was correct – the strawberries had lost almost all flavor and were getting soggy. 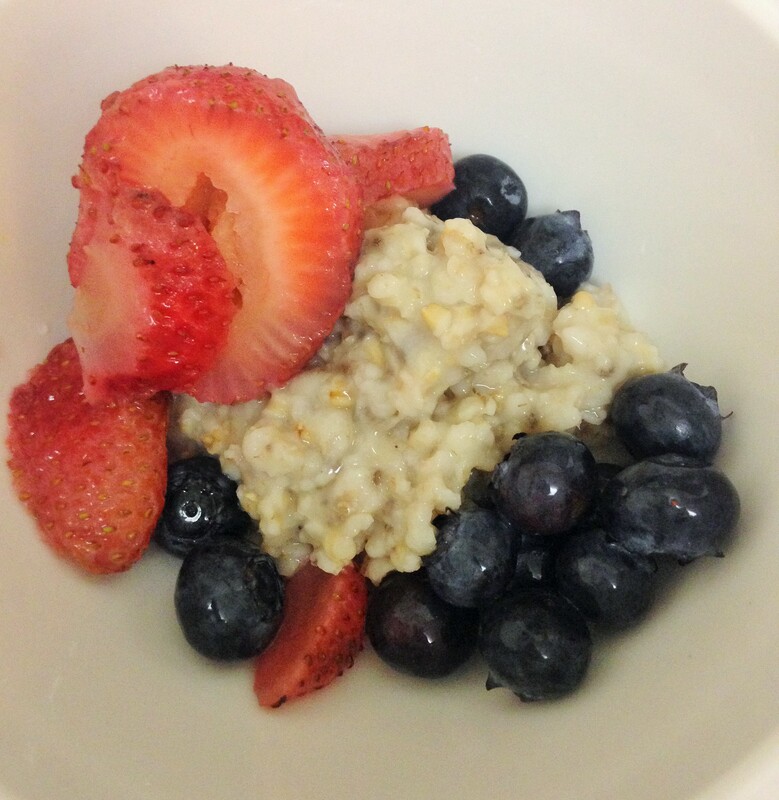 Fruit isn’t cheap; I don’t want to start needing a berry supply for both water and my plate. Right now our pitcher is filled with strawberries and lemons. We love this combo but intend to try something new in a few days. Tip: If filling your pitcher insert with lemons, cut off the skin. The skin will make the water too sour and you also don’t want the pesticides and whatever else lurks on the skin in your water. I found this website which offers a ton of fruit infusion recipes for making your water. It is such an easy process to flavor your own water which sure beats the sugared fruit juices, preservatives in sports drinks and may even help you to curb your soda habit (sorry, can’t relate). Not to mention, you are getting the nutrients and antioxidants from the fruits without even thinking about it. The only downside to all of this water fun is that you will need to use the bathroom more frequently. 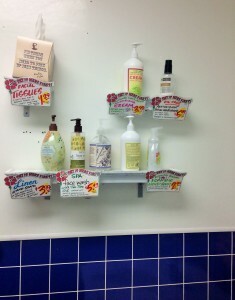 Trader Joe’s is so smart to place a wall of soaps and moisturizers for you to sample while using their facilities. I guess I am not the only one to need a bathroom while food shopping. Do you have a fruit infuser? Cucumber water – love it or hate it? I’m an equal opportunity liquid consumer. I like them all. I remember the first time I had what I would consider a spa-infused water, and it changed my mind as to what you could infuse into water. 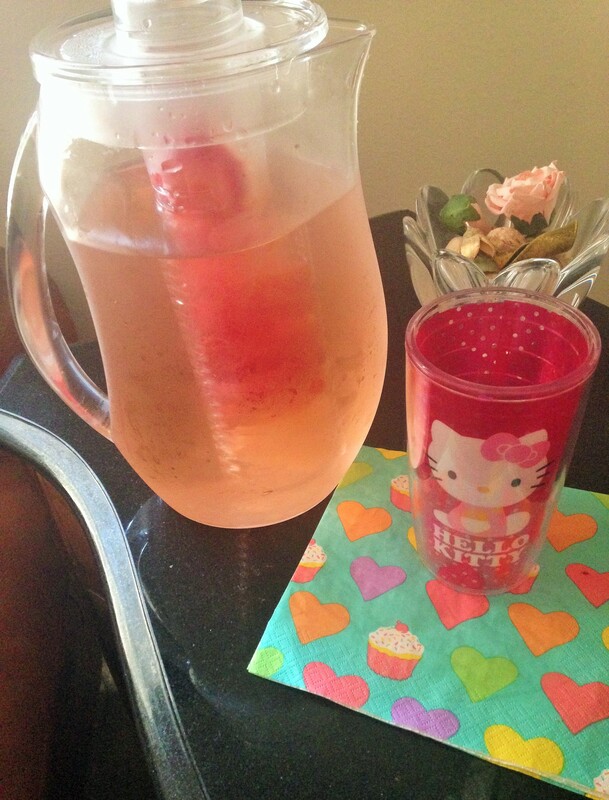 Love strawberry and cucumber water. One of my faves for sure. That is such a neat idea! I totally want one of these! 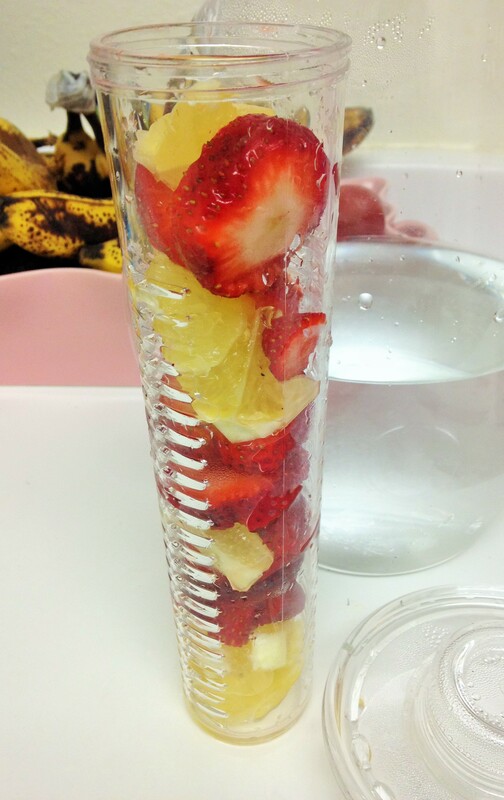 I love fruit flavored water and so much better for you that getting that junk in fruit waters at the store! Hilary recently posted…Pizza Tuesday- Treat Yourself! So much better than those fruit waters. This is as natural as can be. Love it. I never understand how people can not like water. If I’m thirsty, anything other than water just makes me more thirsty! 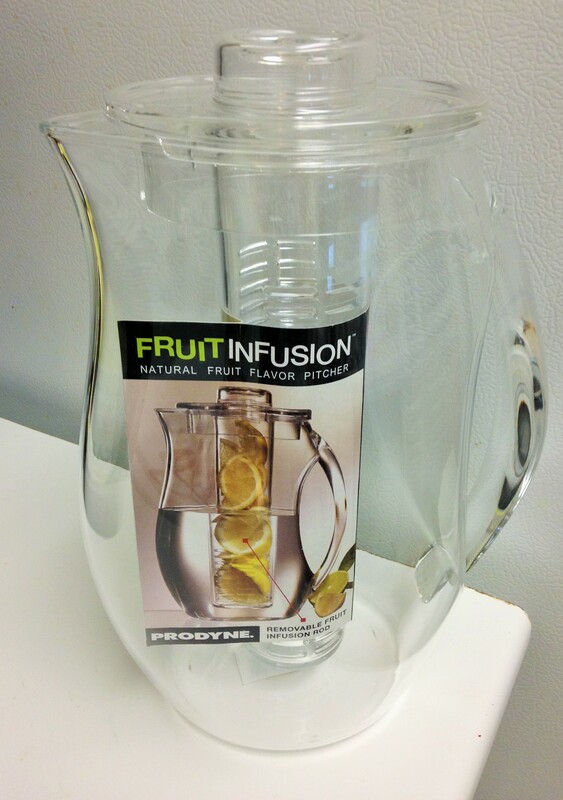 That infusion pitcher is now on my weekend to-do list! I never realized you could still eat the fruit – I feel silly now! Don’t feel silly – I thought the same thing! I found that you could still eat the fruit a day later. If you keep refilling the pitcher, the more water that hits the berries the less sweet they will be but it wasn’t mushy after 24 hours at all. And I agree, anything but water just makes me thirstier. I think I tasted a Shirley temple once when I was little because it was what the kids did and I liked the umbrella but couldn’t deal with the taste. Too funny how you were denied soda and then went all out on root beer. We always say that’s what will happen if we are denied. I am totally going to make that combo. I just did lemon cucumber for a change from the strawberries. I swear I love all the combos! I love cucumber water! A by-product of spending a summer in Charleston, SC, where it’s a staple. I love cucumber water too! So refreshing. That’s what’s next in our pitcher. If soda’s around I drink it, so I try not to buy it. I am a sucker for all the new ginger ales that keep appearing though. And sometimes, especially when cooking pasta and red sauce, crave cream soda. I’m going to get an infuser – especially after following your link. Lots of mint in my yard so I’ll have a quick fallback fruit substitute. Maybe I’ll try growing different types of mint. I was never a big soda drinker either. There was that one phase I went through where I was drinking a can of Coke every morning for breakfast, buuuuuut that’s when I was working some goofy hours and hated coffee. It happens! Oh, and then ginger ale when I was feeling sick — best thing for nausea, hands down. But now? Just water and coffee. Oh! And smoothies if that counts 😀 I really should look into a water infuser, though… Usually I just toss frozen blueberries into my water bottles, and I can’t even tell you how many times I’ve accidentally sipped one up and almost choked on it. I NEED this pitcher! I keep going to restaurants that have fruit infused water and it tastes so good! I am a Zevia fiend! 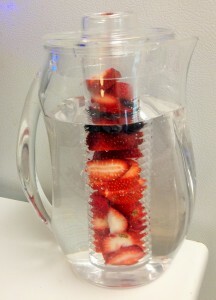 Drinking it like no one’s business – but I know that if I got a fruit/water infuser – I would pound far more “plain” H2o! So far I think this pitcher is worth it. I never had an issue drinking water but adding the fruit flavor has made it so much more enjoyable. Hey There. I discovered your weblog using msn. It really is a pretty tactically written report. I’ll make sure you search for this and come to examine more of the helpful details. Wanted posting. I will unquestionably recovery.